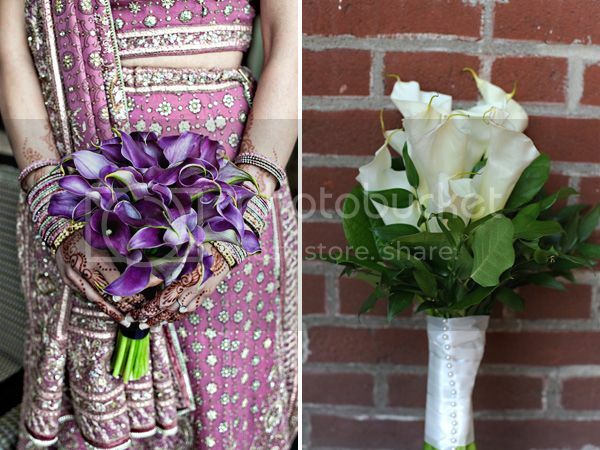 Originally from Africa, the Calla Lily is now grown worldwide and has become a very popular addition to weddings. It has several merits as a wedding flower, including the fact that it lasts remarkably well once cut. This isn’t a flower that will fail you before the wedding day is over. Due to the fact that the Calla Lily blooms quite easily in greenhouses it can typically be purchased at any time of year. White is the most common colour of Calla, however they do come in a very impressive range of colors. Some of the shades of orange and purple are not particularly common in flowers. They also come in several different sizes so be sure to clarify which ones you are interested in! Did you know that flowers speak? It’s true! Flowers have been a way to communicate thoughts and emotions for practically eons. Each flower has different meanings hidden within its history. The calla lily for example means ‘magnificent beauty’ and was also a gesture of respect or regard towards the person receiving it. It has also been known to represent purity and union. 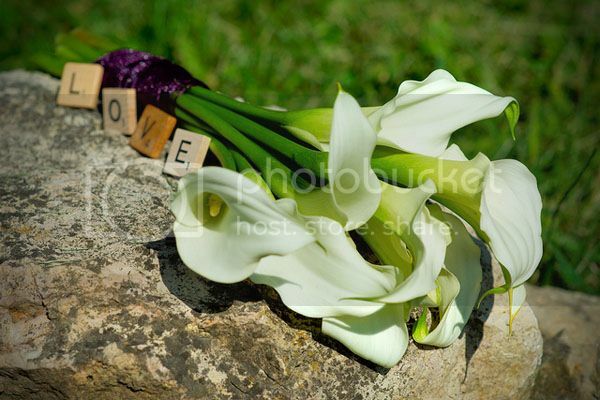 The Calla Lily looks stunning in a bouquet all on its own but it also blends in beautifully with other flowers. A single Calla lily is often considered extremely elegant. 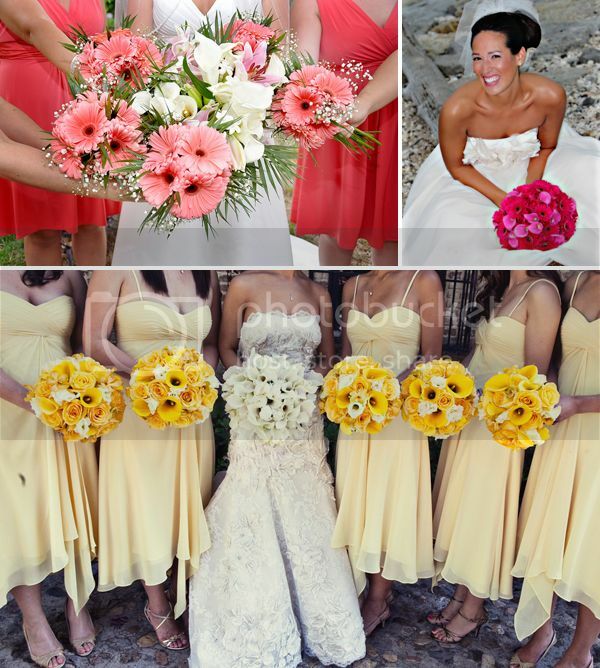 White might be the most popular option for weddings, but the colored variations can add a stunning splash of color. 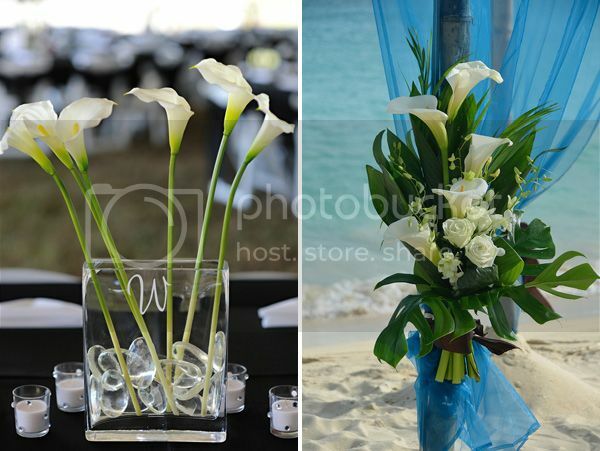 The Calla Lily also looks beautiful in the wedding decor. Roses and lilies are a very common combination, but don’t be afraid to mix it up a little! You can keep it simple and elegant or spice it up for an extravagant statement. One of our many wedding collections is the ‘Bridal Beauty Calla Lily‘ collection – It features a Unity Candle Ceremony Set, Guest Book, Pen, Toasting Flutes, Garter and Wedding Cake Serving Set! I love the Calla Lily for its beauty and grace, I personally find that it seems less frilly and girly than some flowers. When I see it, I see a mature love built on deep respect and mutual affection; this flower isn’t just some heated fling – it’s a lasting statement. I would love to know what flowers you prefer and why ~ share your thoughts in the comments below! Lilies are so beautiful and always look so fresh and pretty. 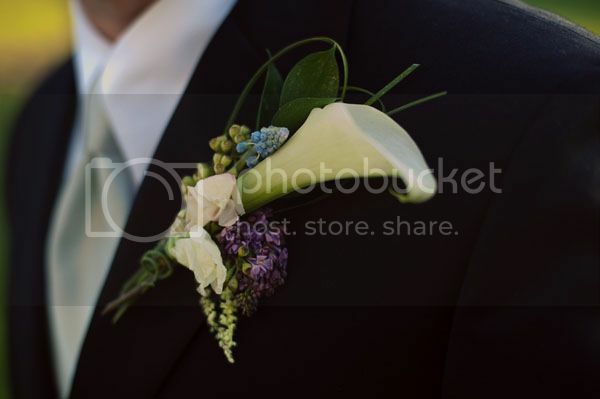 I really like the brides bouquet who has the yellow bridesmaids flowers.